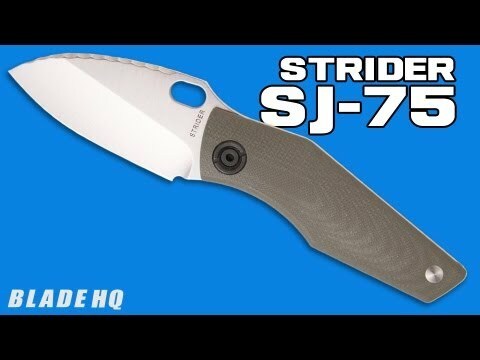 The SJ75 from Strider is a solid new design that is ideal for everyday carry and capable of much more. 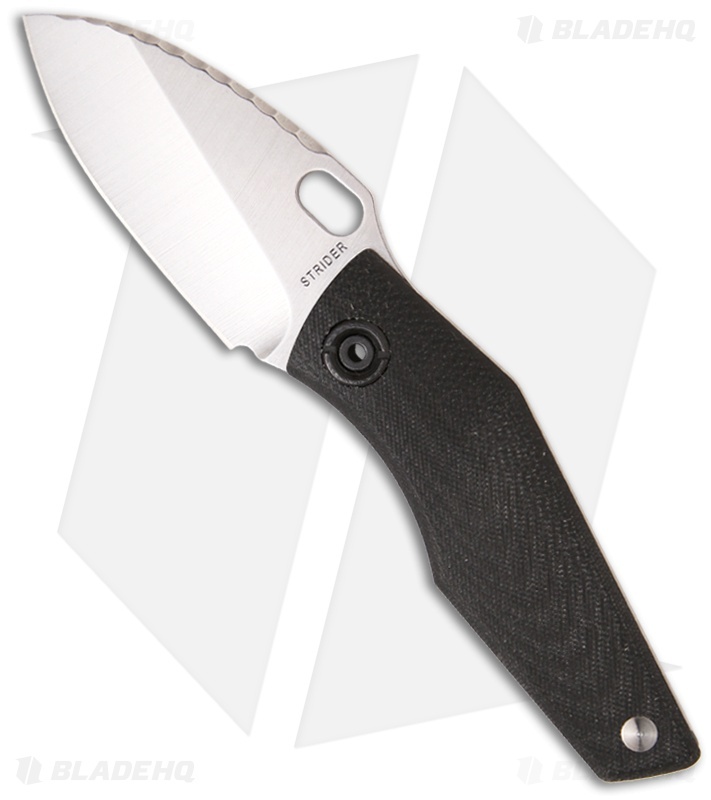 It has a wide profile CPM154 steel blade with a stonewash finish and patterned spine. 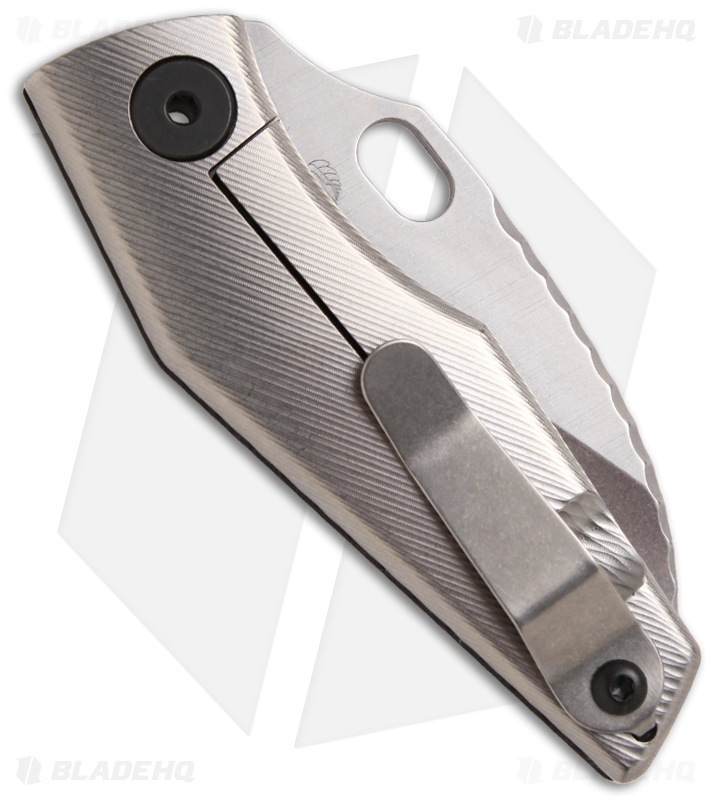 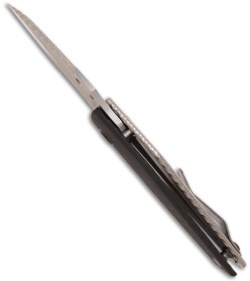 The blade opens smoothly with the thumb hole and locks solidly in place with the titanium framelock. The handle front is black G10 and the edges have been gently sculpted to fit comfortably in hand. The pocket clip is tip-up carry. The SJ75 knife is sure to be another must-have from Strider knives.